Here is a look at Top 7 Digital Marketing Agencies which are ruling the roast in Dubai, UAE. As people have shifted focus from the idiot box which used to be the primary source of everything to different digital media Viz Facebook, YouTube, Google to name a few. It is rather insane for companies in Dubai or around the world targeting none. The companies no matter how big or small have realised the paradigm shift & are banking on top digital marketing agencies in Dubai to reach their marketing goals at very competitive rates. So what are companies doing to reach the right audience? Obviously, they are outsourcing the work to top digital marketing agencies in Dubai who know this trade from within. 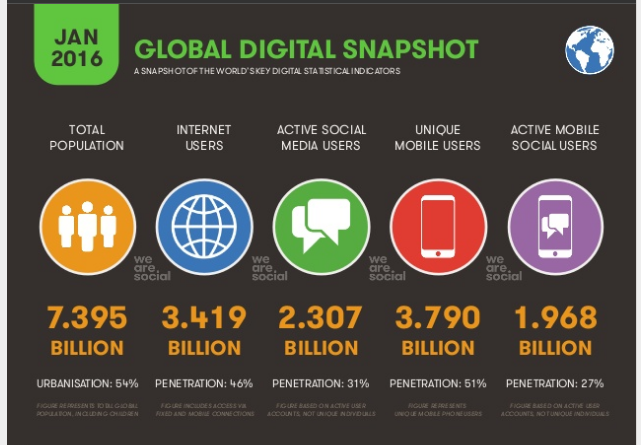 So before discussing the list of top digital marketing companies in Dubai, These are some eye-popping facts about Digital Media Penetration. Data is the crazy thing & it never lies, in fact, decisions based on assumptions rather than data are bound to fail. So the writing is on the wall which is digital is the future & digital marketing agencies /companies are going to drive the future marketing strategies of most of the companies. So if you are looking to skyrocket your business in Dubai & still pondering about the right digital marketing agency/company in Dubai, you have reached the right place. After thorough research, we have compiled a list of top seven digital marketing agencies/companies in Dubai. Without further lingering here is the list of top seven digital marketing agencies /companies in Dubai. Rated as the Best Large SEO Agency & Best SEO Campaign at the 2018 MENA Search Awards, Seo Sherpa has covered a lot of ground since its inception in 2012. This British digital marketing agency in Dubai offers bespoke services to the clients with promised results. The agency specializes in Search, PPC & social media marketing & has worked with clients from various sectors. They have an interesting case stories series featuring on their website showing success stories of their clients. Predominantly a Dubai based Google Certified Digital Marketing Agency with a team of 25 young independently thinking professionals who don’t talk about clicks & impressions but leads. Apart from providing top class digital marketing services which include SEO, PPC & Social Media; Insights marketing Dubai also offers Graphic designing, website development, content writing & other services to its clients from it’s in house team. Walking the talk has helped the company to acquire some of the prestigious projects in Dubai & across Middle East like Pespi.co. DaikinMiddleEast, DU Telecom etc. Having an eye for the detail is what sets them apart from the herd. Run by a team of 100 highly skilled professionals who have mastered the art of Digital Marketing over the years, the agency has received accolades & grabbed eyeballs, particularly in the Middle East. As of Now, this marketing agency has worked with over 300 clients in 25 industries including clients such as Unilever, HSBC, General Motors, Revlon, Pwc & many more. This is the Hub spot’s only platinum rated SEO agency in the Dubai & winner of MENA Search Awards for the year 2017 & 2018. Founded in 2005, the agency offers a variety of services including Digital Marketing with assured ROI. We have all heard how content narrated in the form of stories have potential to garner wider eyeballs & this is where the core competency of Hug Digital lies & sets them apart from other digital marketing agencies in the region. A mid-sized digital marketing agency headquartered in Dubai with its offices in Egypt, Kuwait, Saudi Arabia & India led by a dynamic CEO has become a leading Marketing Agency in the region. Digital Marketing, Social Media Marketing, Influencer marketing & Content marketing is what they are best at & client like costa ,Jeep, Toyota, Honda, love them for this. Probably one of the oldest Digital Marketing Agency in the region, established in 1996 in Dubai,UAE the company has seen tremendous growth with expansions in countries like Australia, US, India, New Zealand & Canada. Apart from offering an array of Digital marketing services like SEO, Social Media Marketing & PPC, the agency provides bespoke Website development & designing services to the clients. Some of its clientele include Takaful Insurance, Daemaar Group, Telectron to name a few. With its Roots in Russia, this Digital Marketing agency has come a long way since its inception in 2006. From 7 employees to opening offices in four countries with Dubai being one of its prime locations. The company follows an aggressive model via social channels for lead generation & has very experienced team to handle the clients of international repute. The future of the marketing is digital & if you are a business no matter how big or small, it is right time to take a digital dive & hire the right Digital Marketing Agency In Dubai for Optimum results. ← Five must have chrome extensions which every digital marketer must keep in his basket. Five must have chrome extensions which every digital marketer must keep in his basket. 5 Major Areas of Digital Marketing Every Startup Should Look at. Trainings.Digital is an initiative by Insights marketing & communication Dubai offering Professional Digital Marketing Courses. Insights is a Google Partner company since 2012 offering different Digital Marketing solutions in Middle East. © 2018 Trainings.Digital. All Rights Reserved.